When I think of the most significant American auto show, Detroit generally is the one that comes to mind. But with all the new vehicle introductions taking place in New York City this week, the Big Apple is looking more important all the time. With all the emphasis on fuel prices and economy lately, it may come as a surprise that most of the introductions in New York were full-sized sedans, as well as other decidedly non-eco-friendly rides. 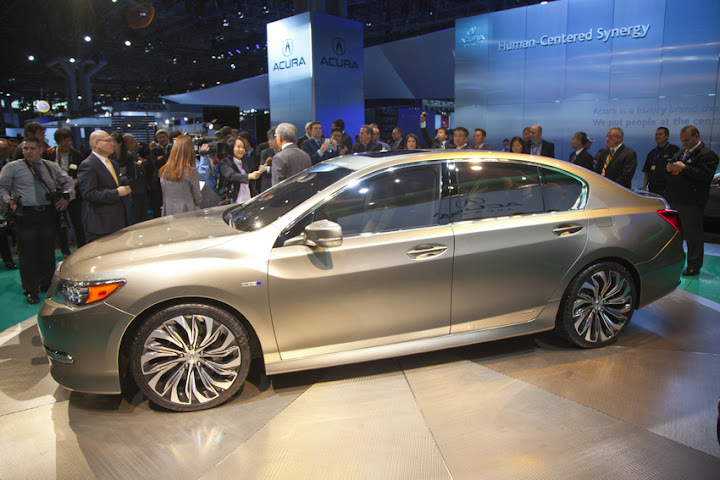 Chevrolet (Impala), Lincoln (MKZ), Acura (RLX Concept), and Toyota (Avalon) all revealed the latest versions of their flagship sedans. 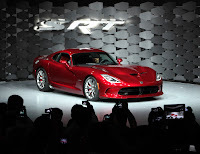 Chrysler eschewed any hint of economy by bringing out a new Dodge Viper and Ram pickup. And Hyundai, Buick, and Honda were among the manufacturers to show off their latest crossovers. 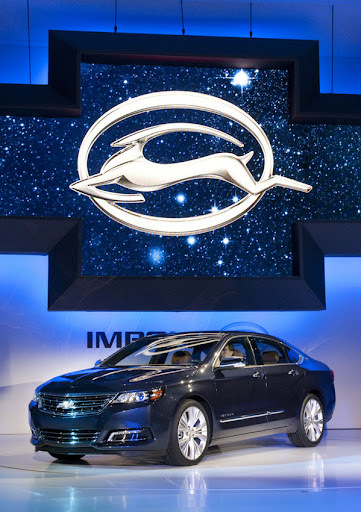 The car I have been most looking forward to is the 2014 Chevrolet Impala. My wife has owned 2002 and 2004 Impalas, and currently owns a 2007. I’m on my second ’96 Impala SS. I grew up in a household that always had a new Caprice or Impala in the driveway. Needless to say, this 2014 redesign is of great interest to me. I recently spent a week with the 2013 Malibu, and before the new Impala came out, I figured it was going to be just like that, but bigger. Well, it looks like it is to some extent, because all the fancy little details and artsy interiors are there. But this Impala looks way better than the Malibu to me. They didn’t just copy the same old bowtie-with-a-chrome strip grill treatment, and it has all kinds of interesting little creases and body lines. The shape of the top and side glass is really great. This car is so nice, it scares me to think what the price is going to be. If you can buy one as reasonably as the current Impala, they should sell all of them they can build. 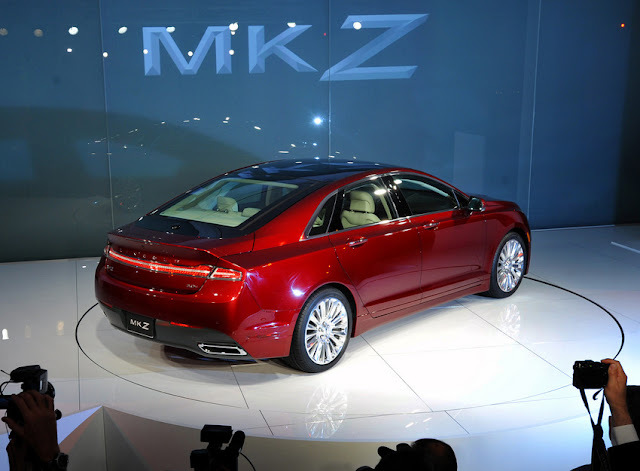 The 2013 Lincoln MKZ is an awful pretty looking thing, too. Lincoln is sort of sticking with the ’41 Continental grill design, but this is the best iteration of that theme yet. And the full-width LED taillight setup is definitely classy. Would I pick this over a Cadillac XTS based on design? Eh, I don’t know about that. But I think it’s one of the best looking Lincolns to arrive on the scene in a long time. From an enthusiasts’ standpoint, the 2013 SRT Viper has to top the list. For awhile, everyone thought the Viper was dead, never to return, so the very existence of an 8.4-liter V10 Viper belching out 640-hp is pretty sweet. The age of the performance car may very well come to an end before we know it, but at least we’ve got exciting new products like this coming onto the scene for the time being. The album below is a little different that one I would put together. These are all manufacturers’ photos taken at the world premieres of their respective new cars. It’s kind of more of a display of the glamour and showbiz of a big auto show than a detailed look of the cars themselves. I’ve been to some things like this, and they really are pretty interesting. Plus, I think it’ll be really cool to look back on this album 10-30-50 years from now. I know I enjoy looking at auto show pictures now from the ‘40s, 50’s, and ‘60s. You can see from the calendar that I posted Tuesday, local car shows and cruises are starting to kick in around Kansas City. That means there won’t be too many more of these big, indoor new car shows for awhile. Consider these pictures to be a little future history. There are 90 of them in the slideshow below. I'm definitely loving the look of that Impala. Dodge really never fails to disappoint in terms of aesthetics and performance. It's great to see how Dodge has adapted to the eco-friendly design trend without compromising the quality and luxury they've always been known for. I'm looking forward as to how it performs in the market. I would love to attend this kind of event. It's good to see promising and stunning new models of cars. Those cars carry the brands known to be excellent in giving services to their customers. Honestly, I own an audi certified pre owned, and I love it. It may not be as good as these cars, but I can say that it caters all my needs when it comes to transportation.